Are you looking for a Guide to find best Adjustable Beds and recommendation? Adjustable beds have recently become incredibly popular for many reasons. Not only have they become one of the most popular type of bed, they have also become a necessity. Providing the ultimate comfort, they were originally intended for both the infirm and elderly. However, they have now made their way to almost every household. Adjustable beds are undoubtedly a great investment, but they are also a rather costly purchase. With so many brands to offer, it certainly becomes an overwhelming task for the average of people. 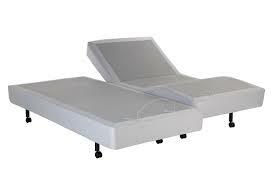 Its infamous comfort sometimes makes us think if there reallyis a guide to find the best adjustable bed. What aspects of this bed should we keep an eye on? How do we choose the best one there is? Read on to find out. This Guide to find best Adjustable Beds is also equipped with a few recommendations that you may find in the following section. Offering various memory foam mattresses, Amerisleep stands out from the rest due to its unique plant-based foam. The brand also rolls out their own line of adjustable bed that boasts sleek, and modern look. You may purchase the combination of mattress and base package, or purchase them individually. Equipped with full-range of features, Amerisleep Adjustable Bed comes with wireless remotes, pillow tilt feature, under-bed massager and lighting, as well as app controls. This adjustable bed is certainly one of the best in the industry. With solid and positive reviews, the bed is averaging at 4.8 stars. When it comes to durability, the fact that the brand is UL-certified and own ISO9000 shows just how durable it is. With prices ranging from 1,800-dollar for a twin bed and about 3,760-dollar for a king size bed, the bed comes with 20-year warranty. The brand may be popular for their bulk item offers. However, Costco also carried a massive range of adjustable beds in their store. With a great customer service and generous return policy. When it comes to reviews, Costco has an average of 3 stars for its S-Cape. Offering two options, S-Cape is undoubtedly a better choice than the Sleep Science. Longevity along with durability typically becomes its major source of disappointment. Again S-Cape is a superior choice. As far as warranty goes, Sleep Science in Costco carries 1-year full warranty with an additional of two to five year parts. S-Cape comes with 1-year full and an additional 2-year for parts. With this Guide to find best Adjustable Beds, now you are ready to get your dream bed.